SAP official language service partner, provide various professional translation and localization services. The cooperation between EC Innovations as an LSP and SAP dates back to 2007. In 2013, EC Innovations honorably joined SAP PartnerEdge® and became the sole Simplified Chinese language service provider certified by SAP. As the officially preferred Chinese language partner, EC Innovations is in extensive cooperation with SAP on numerous projects. Our annual output for SAP localization projects is around 10 million words at peak time. And in 2015, we joined the prestigious ASAP Globalizers. During the years as an SAP trusted partner, EC Innovations has internally built a stable and dedicated SAP project team with extended SAP localization expertise. These linguists in our team are proficient with SE63 Translation Environment, SAP terms and SAP Styleguide. We are skillful in handling various business processes and best practices in the SAP systems. With our SAP team, EC Innovations is ready to provide localization for plug-ins or customization in an SAP environment as well as the localization for related training materials. To meet the challenge of translation consistency, EC Innovations developed a plugin, Trados4SAP, which is integrated in TranSuite. It allows linguists who are working in SAP SE63 to use Trados Workbench to share translation memories in real time. And by working with TMShare (a powerful application module under TranSuite, which helps linguists outside of our Intranet to share translation memory in real time and globally, only if they have access to Internet) together, all linguists can share their TM in SE63 now, wherever they are located and whenever they work. SAP (Systems, Applications & Products in Data Processing), founded in 1972, is a German multinational software corporation that makes enterprise software to manage business operations and customer relations. SAP is headquartered in Walldorf, Germany, with regional offices in 130 countries. It is the world's largest provider of Enterprise Application Software. 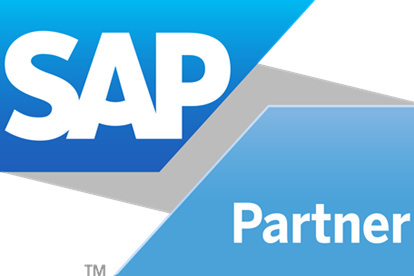 SAP’s PartnerEdge® Program is the officially approved partnership program designed to reward partners for their loyalty and exemplary work with SAP and its affiliates. Membership into the SAP PartnerEdge® Program as a language service provider is a strong indicator of the partner’s reliability and excellence in language services and the importance of the long term partnership. The Best Quality-to-Cost Ratio on the Market.